Much has changed at Metaflex behind the scenes in the past six months. Our production location has moved to the other side of the street. This means that all departments are now in the same building. 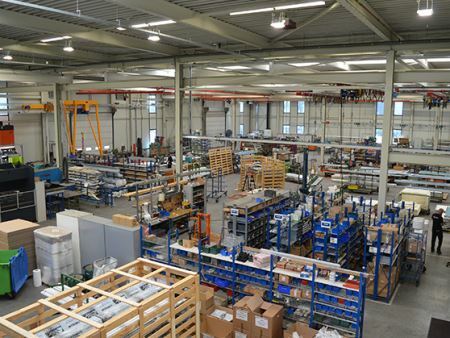 We used the move to reorganize the production method and make it more efficient and effective. In this article you can read how we have managed this. The move can take up to three months. The biggest challenge of the relocation was the reduction of floor space. From a building with 6000 square meters divided over five halls to 2600 square meters in one hall. The plan was mapped out in two months, after much consultation. 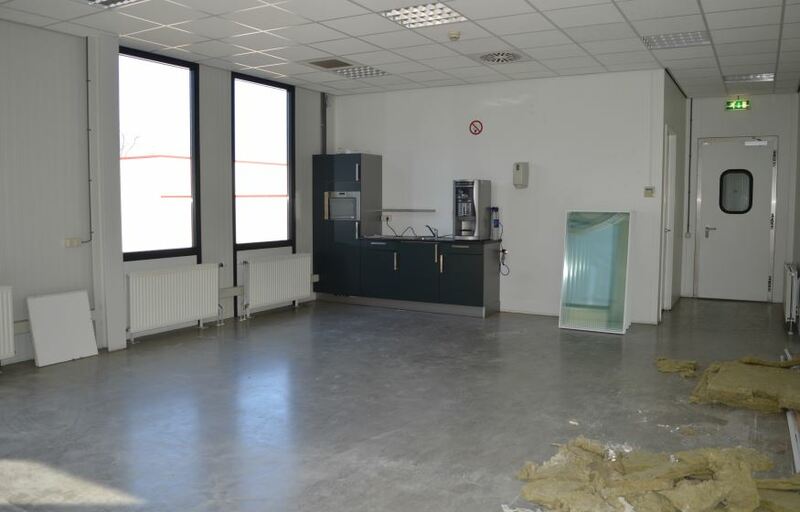 In January 2018 the new factory hall became available and preparations could begin. 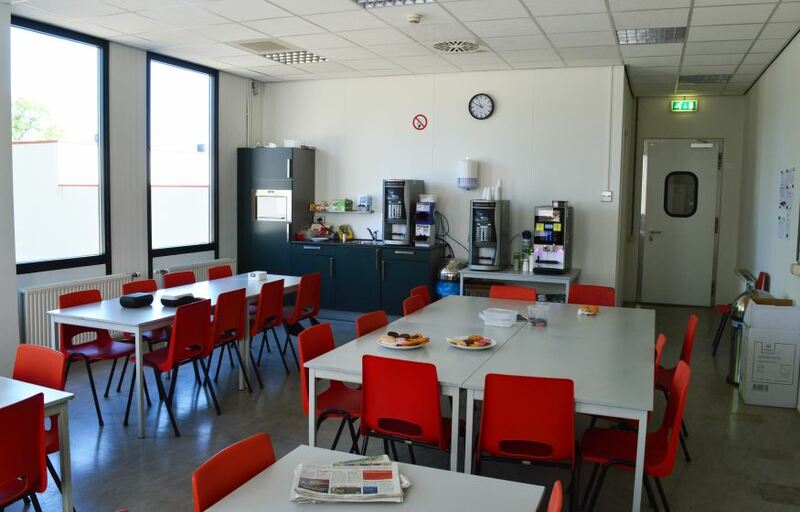 To create more openness, a wall and a stockroom were removed first. In the new production process every workstation needs a hoist. 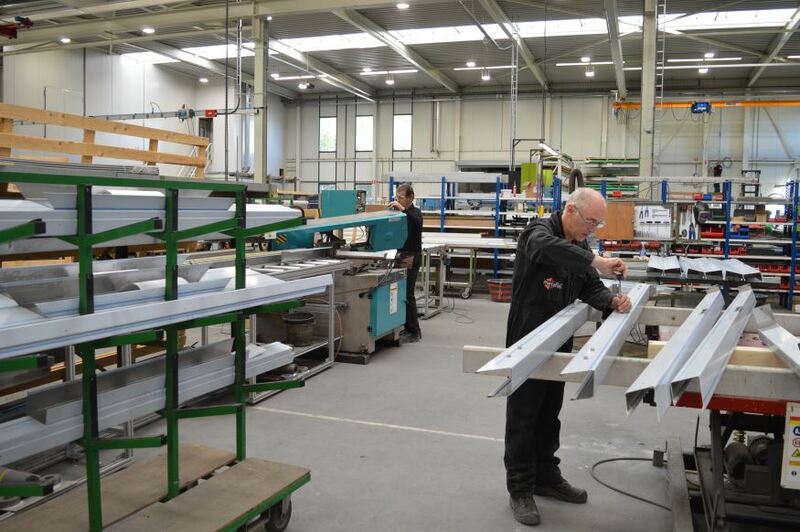 This allows the (semi) manufactures to be transported through the production process. This had a drastic effect on the construction of the hall. 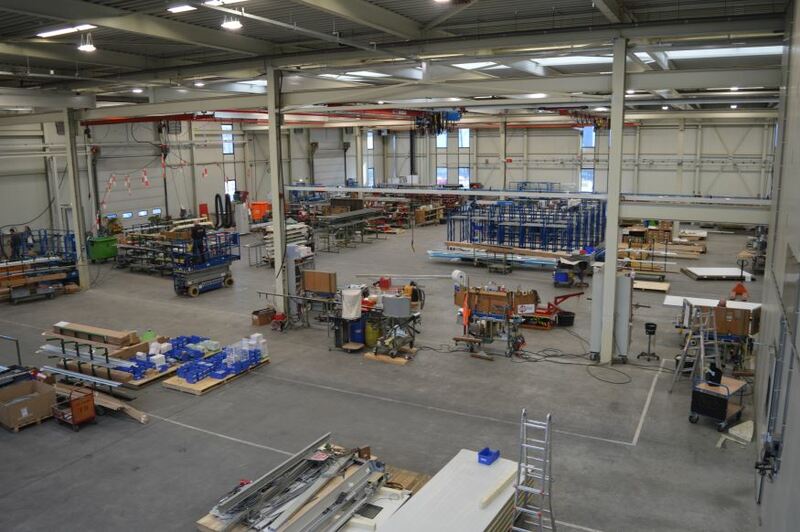 Engineering firm Wiggers calculated the required bearing capacity of the construction, after which Eeftink-Rensing Staalbouw carried out the necessary adjustments to the beams and construction. 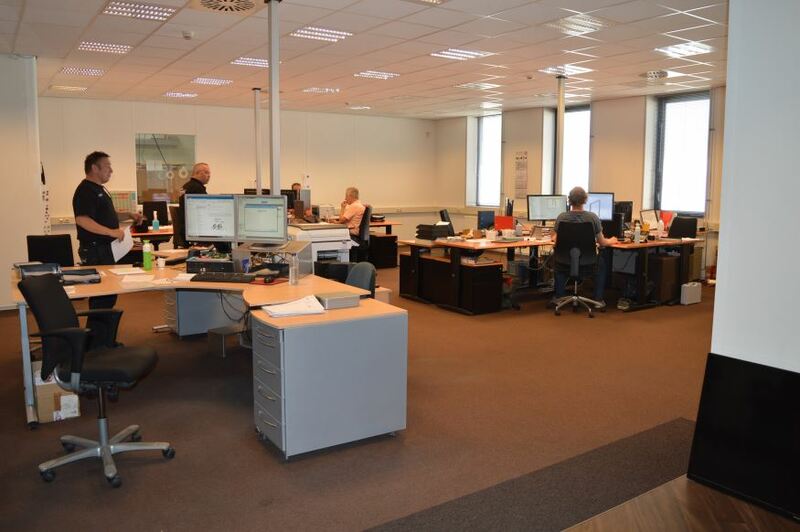 The technical installations were subsequently performed by Kremer Installatietechniek. The cutting and milling of the door leaves creates dust, which is why a closed room with suction has been created. 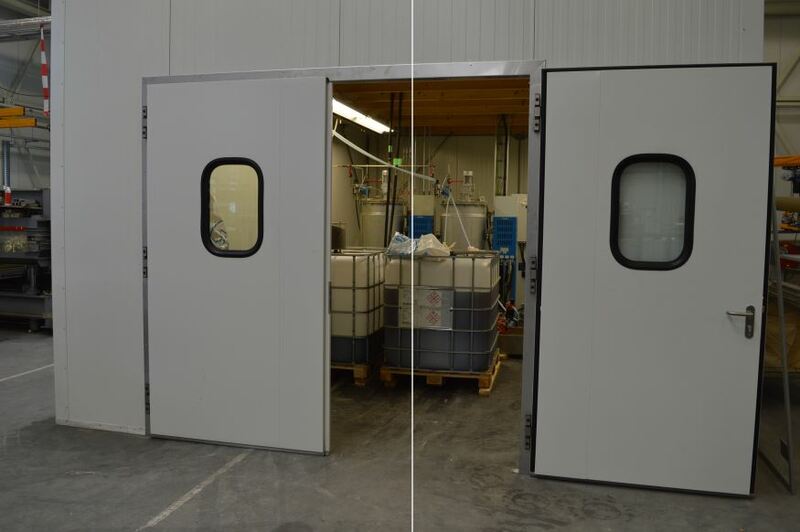 In addition, a separate conditioned room has been created for the PU installation to optimally monitor the materials and installation conditions. Furthermore, the hall has been kept open as much as possible to save space and limit walking distances. The move was then planned in two phases. In the first phase, the relatively compact and light machines were moved. This phase was completed after nine weeks. Four weeks later, phase two also had to be completed. This was a big challenge partly due to the heavy machinery of up to fifteen tons (transported by Tolkamp Speciaal Transport) and the short time frame. On the last Friday before Easter we worked until the late hours to meet the deadline. At the moment the project is still in progress, the one-point-of-schedule is for example still being set up. In addition, the FIFO system (first in, first out inventory system) will be implemented. This is expected to be completed within three months. Then we will experience the full result, but the current findings are already promising! 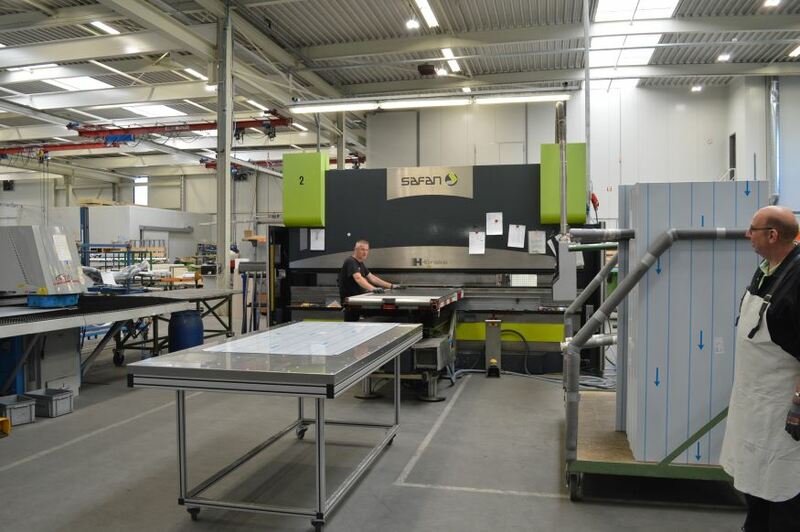 Due to the new lay-out of the factory, walking distances and throughput times have been reduced. This makes it possible to realize faster delivery times. 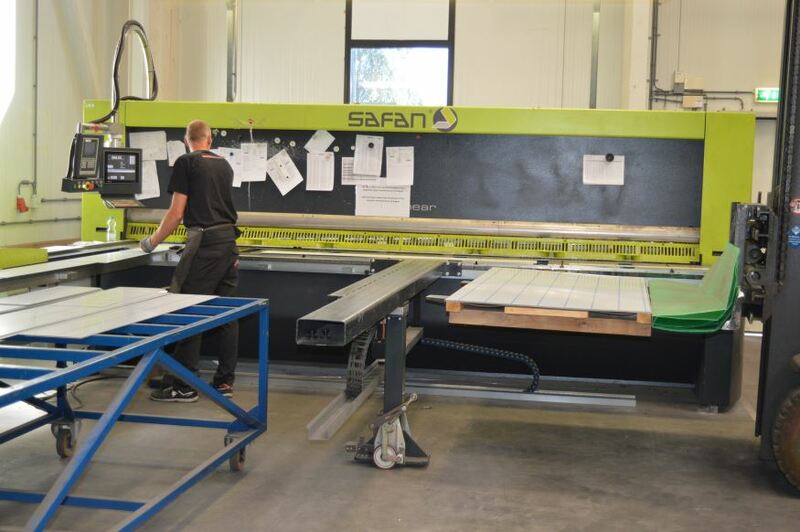 Any faults in the production process are immediately detected, which limits the damage. Stocks can be minimized due to the new production flow. 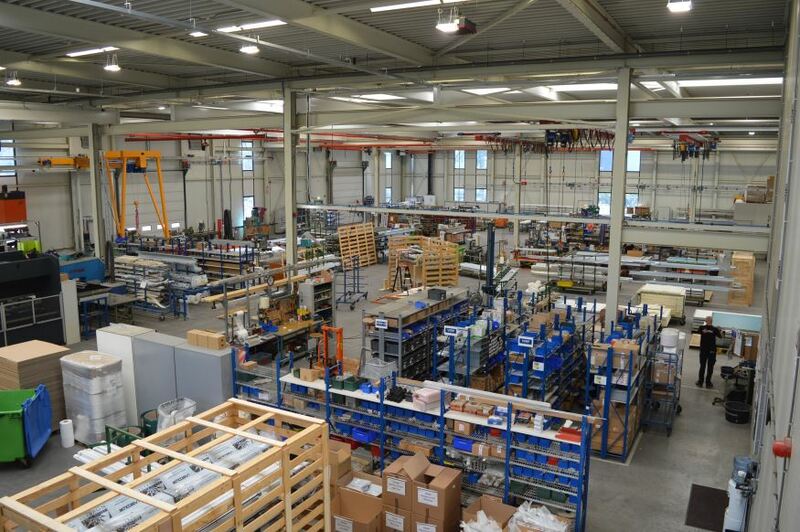 Stocks are stored in the workplace itself, reducing the size of the warehouse and reducing its transport through the hall. Metaflex thanks Wiggers, Eefting-Rensing, Kremer and Tolkamp for the pleasant cooperation. 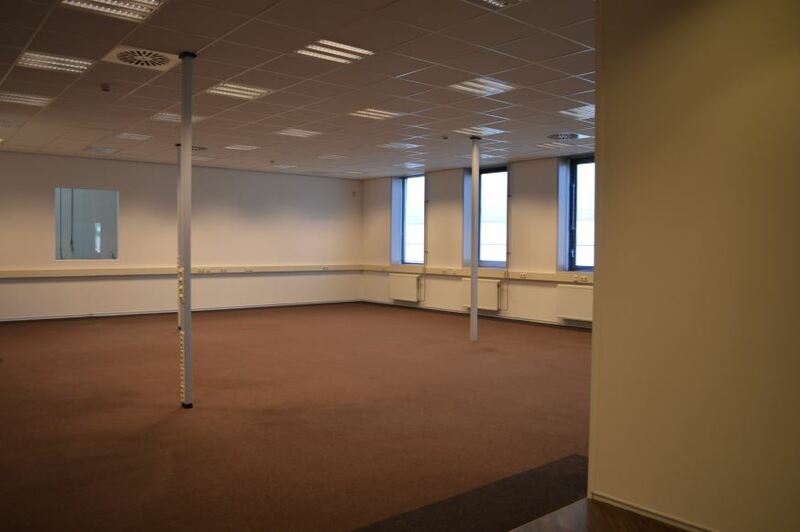 The new address of the production location is Ambachtsstraat 11, 7122 MP in Aalten. The production is now at the same address.